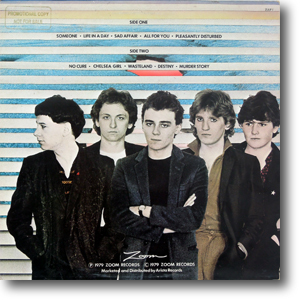 LP with black and red labels, with black and white inner sleeve including pictures and text, in a full colour picture sleeve. Charlie Burchill : Guitars, violin and Vocals. Derek Forbes : Bass and vocals. Brian McGee : Drums, percussion and vocals. Michael MacNeil : Keyboards and vocals. Studios: Rolling Stone Mobile, Abbey Road, Townhouse Studios. Early 1979. A very special thank you to David and Jaine Henderson (the invisible members). Cover photography and design: Carole Moss. 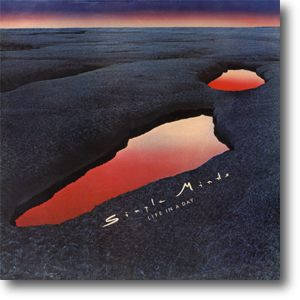 This was the standard commerical LP with a promotional stamp on the back cover. These are extremely rare and hardly any have surfaced. 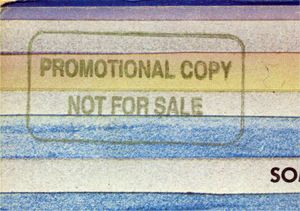 It's stamped Promotional Copy. Not For Sale in the top left corner.